Carrie Underwood & Husband Welcome Newborn Son! Country music singer-songwriter Carrie Underwood's newborn son has made his big public debut! Meet the little guy here! 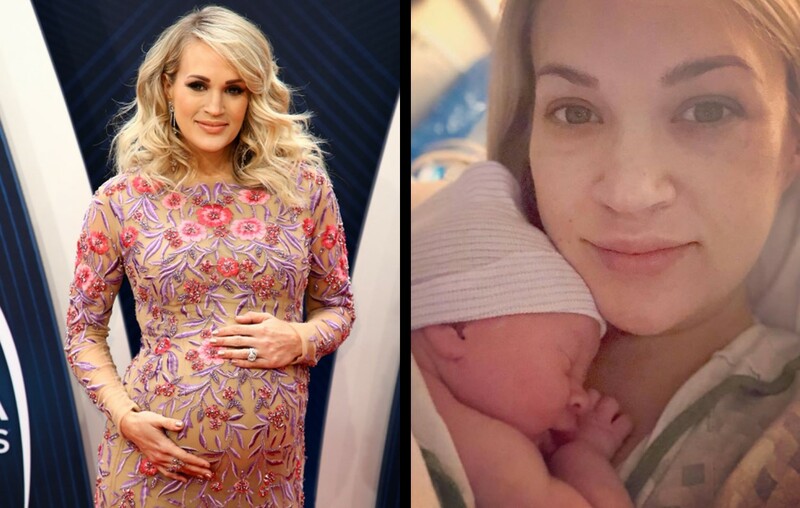 Country music superstar Carrie Underwood and husband Mike Fisher welcomed their second child, Jacob Bryan Fisher, into the world on Monday, January 21st! The snapshot of big brother Isaiah holding his baby brother on a pillow with Mike’s help is totally heartwarming! The soon-to-be 4 year old is in for a big, but awesome, life adjustment! Congrats to this family! Share this news with other country music fans! By the way, Carrie’s The Cry Pretty Tour 360 with special guests Maddie & Tae and Runaway June kicks off in May!